To book your room now, go to https://book.passkey.com/go/sos19 or call 855-678-5865. Please do not call the hotel directly. You may also book your hotel at the same time that you register for the conference beginning October 5, 2018. Our call center is available 24 hours a day/ 7 days a week to answer any questions or book your reservations. By using the official hotel blocks in the city, GHDS has the ability to secure convention dates earlier to assist with your future year planning to keep hotel and registration fees down. 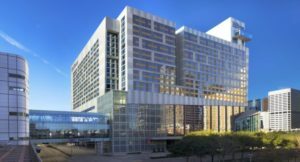 The first 250 guests to book a hotel room at the Hilton Americas will be entered into a drawing for 3 nights at a Starwood Hotel within the Continental U.S. or 2 nights at a Starwood Hotel within the Continental U.S.
*Reservations based on availability. Must be made two weeks prior to the actual trip and is non-transferable. Offer expires after 12 months from award date. To be entered to win, you must register for the conference and book hotel room(s) in the official block. The prize will only be awarded after you have attended and actualized your hotel stay for Star of the South 2019. For any other housing questions, please email starofthesouth@eventsphere.com. IMPORTANT: Please note that all sleeping rooms for the Star of the South meeting should only be made using the secure, housing website established by Star of the South official housing vendor, EventSphere. The website will allow you to book your sleeping rooms at the Star of the South contracted group rate. EventSphere will not make any unsolicited calls to meeting attendees or exhibitors for housing reservations. Any official correspondence you receive regarding housing will list EventSphere only as the Star of the South housing service. Please disregard any solicitation calls, emails, faxes, mailings or other correspondence from housing bureaus or vendors other than EventSphere promoting reservation assistance for the Star of the South meeting room block as they are fraudulent. Star of the South does not support these services and assumes no liability or responsibility for the actions of such vendors. Questions For housing related questions, call Star of the South housing vendor, EventSphere, toll free at 855-678-5865 or via email at starofthesouth@eventsphere.com.